This week, The Heritage Foundation is updating its Voter Fraud Database with 89 new entries, including 75 convictions and a slew of overturned elections and civil fines targeting vote fraudsters. With these latest additions, the database now documents 581 cases of proven voter fraud and 848 criminal convictions. Heritage’s database proves not only that voter fraud is real and ongoing, but also that it is not isolated to any particular state or region. With the addition of cases from Nebraska and Oklahoma—two states previously unaccounted for in the database—Heritage now has documented proof of electoral fraud in 47 states. This truly is a problem that spans the nation. Their political games have consequences: By opposing or seeking to overturn commonsense measures like voter identification laws and efforts to clean up outdated and inaccurate voter rolls in the states, liberals are actually making it much easier for fraudsters to steal votes and for corrupt politicians to rig elections and negate legitimate votes cast by eligible citizens—effectively disenfranchising them. So long as elections are the pathway to political power and victory for favored causes, there will always be those who prefer to cheat rather than risk losing in a free and fair contest. Connecticut: Michael Singh of Stratford successfully registered to vote, voted, and was eventually elected to the town council despite not being a citizen. 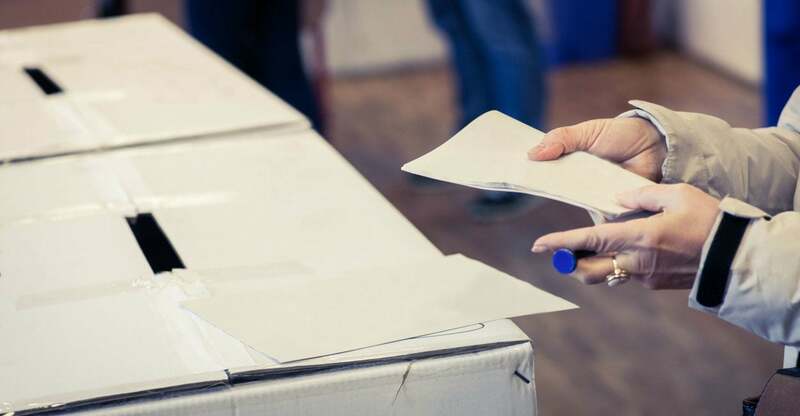 The Connecticut Elections Enforcement Commission discovered his noncitizen status and required him to pay a $4,000 fine and resign from his position. Nebraska: Two men, Ali Abdullahi and Shueb Ali, pleaded no contest to charges that they voted twice in the 2016 general election. Both men cast ballots during the early voting period and then again at the polls on Election Day. Each was fined $100. Florida: The former mayor of the town of Eatonville, Anthony Grant, was convicted of a felony voting fraud charge, a felony election violation, and misdemeanor absentee voting violations. During his 2015 campaign, Grant coerced absentee voters to cast ballots for him, and personally solicited at least one absentee ballot from someone who did not live in the town. His efforts appeared to have paid off (that is, until he was caught): On Election Day, he lost the in-person vote but prevailed overall with more than twice as many absentee ballots as the incumbent. His victory was short-lived, though. After Grant’s indictment, Gov. Rick Scott suspended him from office. He was sentenced to four years’ probation and ordered to complete 400 hours of community service. Alaska: Alvaro Jimenez-Aguilar, an illegal alien, overstayed his visitor’s visa. Rather than return home, he assumed the identity of his deceased nephew, falsely claimed citizenship status, and filed a Social Security application. Jimenez-Aguilar was also able to successfully register to vote. Following his conviction, Jimenez-Aguilar was sentenced to time served, one year of supervised release, and his case was transferred to Immigration and Customs Enforcement for deportation proceedings. Most states today have woefully inadequate measures in place to detect and guard against the types of fraud identified in these and the hundreds of other cases in the Heritage database. Overworked prosecutors often do not prioritize these cases, particularly after elections are concluded. As a consequence, election fraud frequently goes undetected and unpunished, inviting future abuses of the system. It is long past time for states to seriously tackle the issue of election integrity. Reasonable reforms, such as requiring voter identification both at the polls and when voting absentee, entering into interstate programs to cross-check voter rolls for duplicate registrations, and purging voter rolls of deceased voters and noncitizens will help to protect the integrity of the process and ensure that American elections accurately reflect the will of the citizenry. None of these reforms would bar legitimate voters from participating in the democratic process. Unfortunately, protecting the sanctity of that process is not foremost on the agendas of many state leaders. Just look at Virginia, where a recent report by the Public Interest Legal Foundation revealed extensive efforts by state election officials to stonewall the group’s investigation into noncitizen voting. As documented in the report, noncitizens were casting ballots by the thousands, and state efforts to root out ineligible voters are lackadaisical at best. Virginia is a swing state. In tight races—and there are many of them in Virginia—where a few votes can determine the outcome, even a handful of fraudulently cast ballots can have extraordinary consequences for communities, states, and the nation. Fortunately, this issue is about to get the attention it deserves in the form of an election integrity commission chaired by Vice President Mike Pence, which will hold its first meeting in July. That group’s efforts cannot begin soon enough. As the Heritage database proves beyond any doubt, voter fraud exists, it is widespread, and it is not going away any time soon.